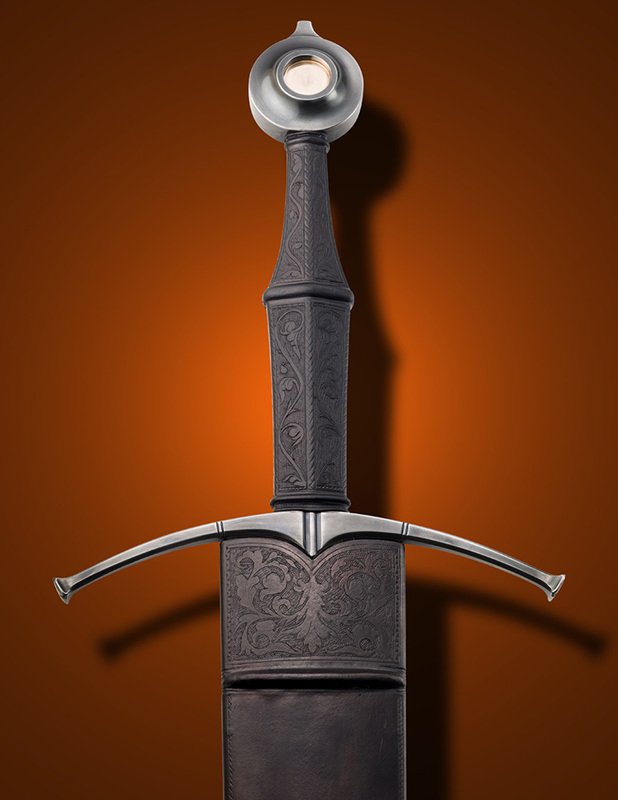 The Vorpal Sword was made for the Masters of Fire exhibition in Macao 2007. 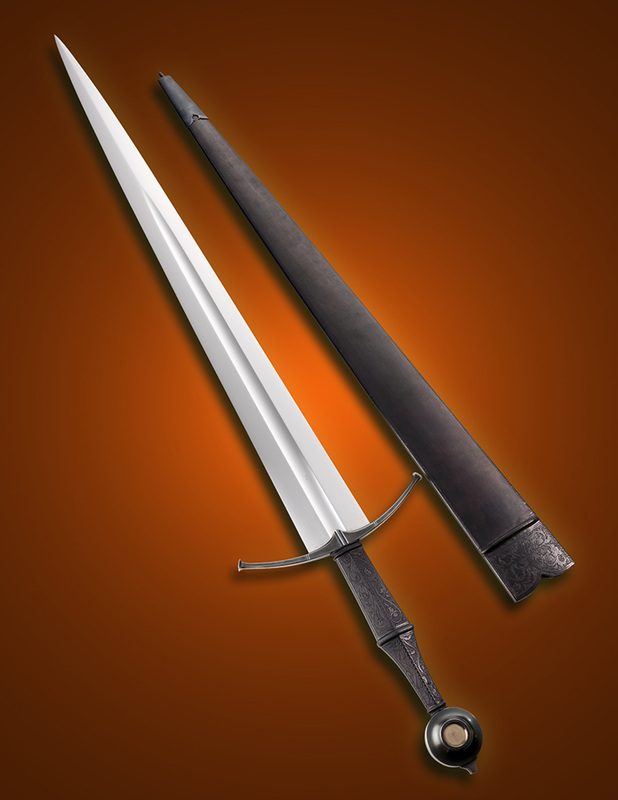 At the time I was particularly fascinated by large but compact and wide bladed long swords, such as the XVIIIc swords of the Alexandria group. 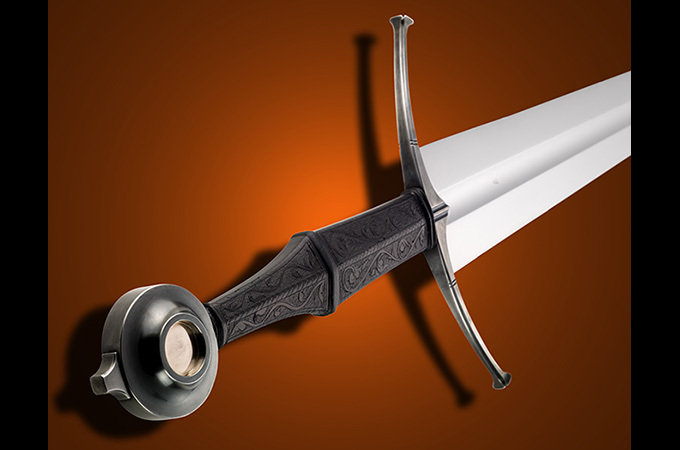 The intention was to make a sword that clearly belonged to the European tradition, but at the same time incorporated something slightly out of scale and fantastic. I have always loved the poem Jabberwocky from Alice Through the Looking Glass by Lewis Carroll. 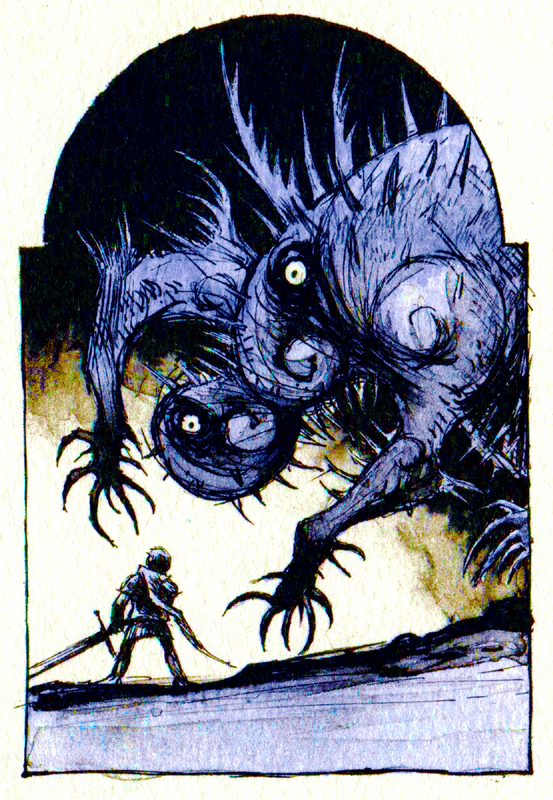 While nonsensical, it still sums up the important themes in the myth of the vanquishing of the Monster, about the Young Hero facing the threats of the unknown and overcoming them, the Old King/Father being revived by the triumph of the Prince/Son. It is complete in its set of symbols but manage to convey the familiar story in a fresh way by almost hiding its telling in the tulgey wood of whimsical words. I find the Vorpal Sword to be the perfect theme for Sword-out-of-time projects. 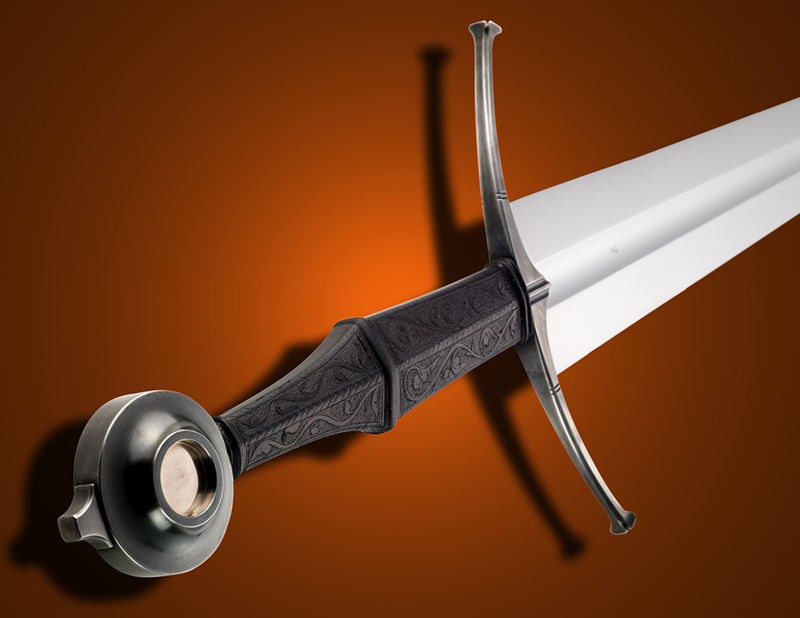 The theme allows for swords made to convey a sense of adventure and epic legends with perhaps a hint of them belonging to a time period, only to give the imagination something to feed on.